as an Engineering Contractor through your own Limited Company. Whether you are already an engineering contractor or have made the decision to become one as your next career move, you will already be aware of the many advantages it offers, not least the opportunity for higher rates of pay than your employed counterparts. Your next objective is to find out more about setting up and operating as an engineering contractor through your own limited company, because, as the most tax efficient way of being paid for your services, it is the best way to maximise your contract earnings. Here at Freestyle Accounting we can give you all the help and advice that you need to get your limited company up and running. Our “Everything done for you” service will ensure that operating through your limited company is simple and pain-free. 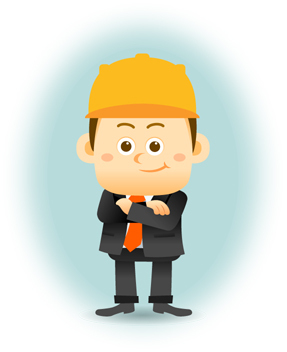 What are the advantages of being an engineering contractor through your own limited company? It’s the most tax efficient way of being paid for your services. To put things into perspective, by operating though your own limited company, you can expect to receive up to 90% of your daily rate (depending on your personal tax situation). Where do the tax savings come from? 1. National insurance savingsBy setting up a limited company, you become a shareholder in the company and are legally entitled to pay yourself a distribution of the profit from the company. This payment is known as a dividend, which does not attract national insurance, meaning you can retain more of your contracting income. Please note that these tax efficiencies are subject to your contract falling outside of IR35 legislation. Most contracts we see do fall outside of IR35, please see the section on IR35 legislation for more information. If you appoint us then the administration side of your business will require no more than 15-20 minutes of your time per month. Our goal is to provide you with “pain-free” accounting by way of our Everything done for you service. With our service you’ll be tax efficient without being bogged down with all the admin and paperwork involved in running a limited company; we take care of that! You simply spend 5 minutes per week updating your online portal and we take care of the rest. As a firm of Chartered Accountants and Tax Advisors, we are regulated by the ACCA (Association of Chartered Certified Accountants) so you can rest assured that you’re in safe hands and everything is compliant with the law. We are also accredited accountants recognised by IPSE (the Association of Independent Professionals & the Self Employed), so we’re experts in dealing with Contractors, freelancers and the self-employed. If you’d like to know how much you could earn with your own Limited Company, simply enter your details opposite for a personalised income illustration. We’ll also send you our free guide to working through a Limited Company and further details on our accountancy service for Engineering Contractors. Interested? Why not give us a try “Risk Free” Today? If you join Freestyle Accounting today and you’re not 100% satisfied with the service within the first 30 days, then simply let us know and we will refund your fee*. How Much Could You Earn By Going Limited? Enter your details below for a personalised income illustration and find out now!